3D printing is the process of making a physical object from a digital file. A computer-controlled 3D printer lays down layer upon layer of melted material (usually some type of plastic) until the final object is formed. Nearly anything that can be imagined can be 3D printed: toys, household objects, office supplies, tools, models, and more. The Library has three different 3D printers available. How does 3D printing work at MCL? 1. Choose or create your design. 2. Read and follow our 3D printing policy. 3. Submit your file to us and we will print it. 4. Pick up your 3D printed object. STEP 1: Find, create, or remix your own digital design. There are many file-sharing sites packed with pre-made creations from around the globe. Just download a file you like and you are ready to go. Some of the most popular sites include: Thingiverse, YouMagine, MyMiniFactory, 3DShook, and PinShape just to name a few. If you’d like to tackle making your own design from scratch, try the free online designer TinkerCAD. STEP 2 : Read and follow our MetaSpace 511 policy and 3D printing procedures. Please take some time to familiarize yourself with our 3D Printing Procedures and our MetaSpace 511 Policy. Projects using the 3D printer must be pre-approved by staff prior to use to ensure proper file format, size, and materials. Staff reserves the right to deny the use of tools, equipment, or consumable materials, or to halt, delete, or cancel the creation of items that violate any library policy. 3D printing projects that require a longer printing time may be picked up by the patron at a later time. Step 3: Submit your design file. Once you have downloaded or created your design file, please email it to us at muk3Dprinting@gmail.com. You are also welcome to save it to a USB drive and just drop it off at the Information Desk. We will notify you as soon as possible with an estimate of the printing cost before we print. STEP 4: Pick up your 3D print. We will notify you by phone or email when your print is ready to be picked up. You will have 7 days after notification to pick up your print at the Circulation Desk. Cost is calculated by the final weight of your design. The filament (plastic) is 10 cents per gram. For example, a toy soldier or cookie cutter might cost $1 – $2. The library offers basic 3D printing demonstrations and events throughout the year. Check our online calendar for upcoming sessions. Staff may be able to offer limited assistance at other times. 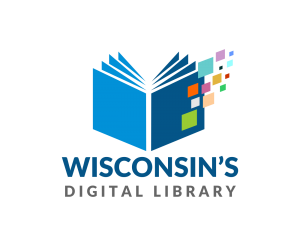 For more advanced help, set up an appointment to meet with a librarian at (262) 363-6411. Printing times vary depending on the size and complexity of the object. Smaller objects may take only 20 minutes. larger objects may take several hours. Currently we have red, white, blue, orange, black, clear, yellow, purple, silver, gold, green, and pink. When you submit your design let us know what color you prefer. Please note that some colors may not be available and substitutions may need to be made.